I have been a happy recipient of these awards from the lovely bloggers, some time ago. 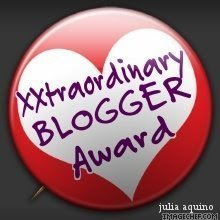 and the Xxtraordinary Blogger Award. Molly, who has just given me a Daily Blogger Award recently. Thank you for all the awards and I truly appreciate it!!! You Are My Friend Award - For my Top Commenters U.Lee, Rozella, Nick, Nightwing, Simon, Jacky, Molly, Osindak, Ratu Syura, and Faizal. Thank you for your friendship and support. Congratulations on getting those awards..:) Good stuff. And yeah, Nick only likes awards so that he can use it as in betweens when he doesn't have any idea of what to post about! 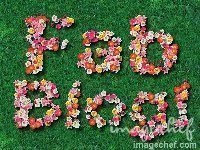 Hehehe :P Jahat he! Thanks. Just wish to share experience. Thanks for 2 more awards. Wow! I have in total 3 awards already, celebration! Hi there monica.. big thanks from me to you for giving me those awards, really appreciate it, appreciate it so much. thanks for being my blogger friend. God bless you. thanks again. Hi Monica, I thank you for your warm and generous gesture. With my utmost appreciation, thank you. Lee. Hi dearie! Thanks for this. Didn't see it till today. Better late than never, eh?